School House. Print Shop. Design Studio. Old Growth Forrest. At Neue School Press, a historic school house, a letterpress printshop, and a graphic design studio share a roof. We design and hand print all manner of paper goods. Our goal is to harness that revelment in the unexpected and channel it into a tangible experience for our patrons and their audience. To achieve this, we have an arsenal of antique printing equipment, modern design technologies and ever-expanding knowledge of materials and process at our disposal. 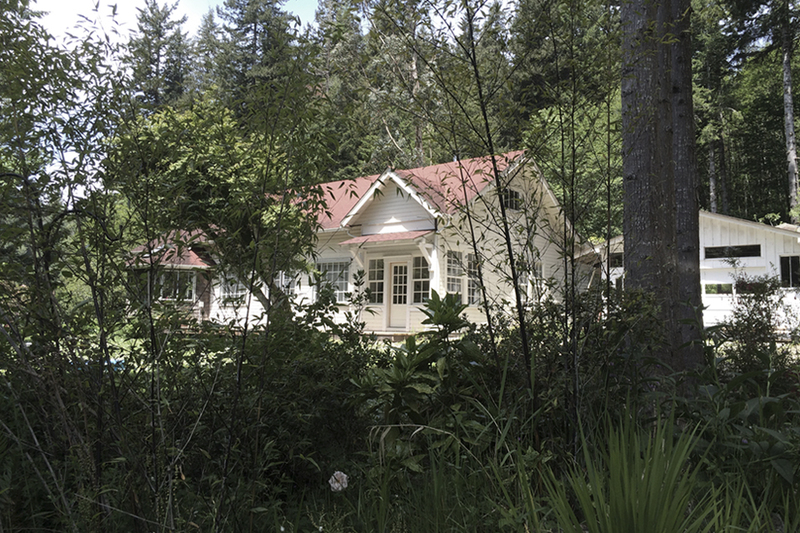 Our school house is located on the Oregon Coast, sandwiched between old growth forrest and the mighty Pacific. To get a sense of what we do, visit our portfolio page. To see a selection of previous design work click here. Interested in producing something you don’t see here? Don’t hesitate to get in touch, we love creative problem-solving, and have accumulated quite a heavy bag of tricks. Spend some time with our work, request a sample, write us a letter, join us for tea. If you’d like to get in touch, please do not hesitate to use our direct line. Darcy Jeffs holds a Masters in Typography from the Werkplaats Typografie, Arnhem, Netherlands, and a Bachelors in Graphic Design from the College for Creative Studies. She also earned an Associates in Visual Communications from Northwestern Michigan College. She worked in New York City as a designer for independent studios, big magazines, cultural non-profits and Lincoln Center, the largest performing arts organization in the world. But couldn’t shake a longing for wide open spaces. A historic school house nestled amongst old growth trees, in a quaint Oregon seaside town, presented the perfect fit. She purchased a letterpress printshop, relocated it to the school house and founded Neue School Press. Presently, NSP offers graphic design, specialty print services and occasional workshops. (As fate would have it, our first printing press was manufactured in 1913, the same year the school house was built).